Ever since we spotted the online first-person shooter Archetype in limited release, we’d been dying to try the game out. At long last, Archetype was released to the global App Store this past week to much fanfare and a huge marketing campaign. After finally getting our hands on it and spending some quality time playing, we can safely say that Archetype is one impressive game, and developer Villain has, for the most part, followed through on their promises for the title. That’s not to say there aren’t a few issues with it, or a wish list of things we’d like to see added, but all said, Archetype delivers one of the most robust, beautiful, and most importantly fun FPS experiences that can be had on the iPhone. For starters, if you have Apple’s new iPhone 4 then you are treated to some unbelievably crisp graphics. The textures that make up the levels and player models aren’t the most detailed — which is fine, as this allows the game to run at an ultra-smooth clip — but, on the retina display, it really approaches a high definition console game running on the small screen. For all other devices, including the first generation of iPhones and iPod touches, the game is still very graphically impressive and maintains a solid framerate. The five stages available in the game are also visually quite nice, and are all indoor arenas with a high tech industrial look similar to games like Eliminate or the Halo series. It’s not a groundbreaking style, but it gets the job done while maintaining good performance across all devices. Controls in Archetype are a familiar dual analog stick setup that works well, though doesn’t leave many options for players that prefer different control schemes. The two sticks are visually situated in the usual spots in the lower corners, but can actually be activated by touching nearly anywhere on either half of the screen. This lends itself well to people who like the “touch anywhere” or “swipe the screen to aim” mechanics of similar touch screen FPS games. Your weapon can be very quickly changed by touching the upper right corner and grenades are thrown by touching the upper left corner. 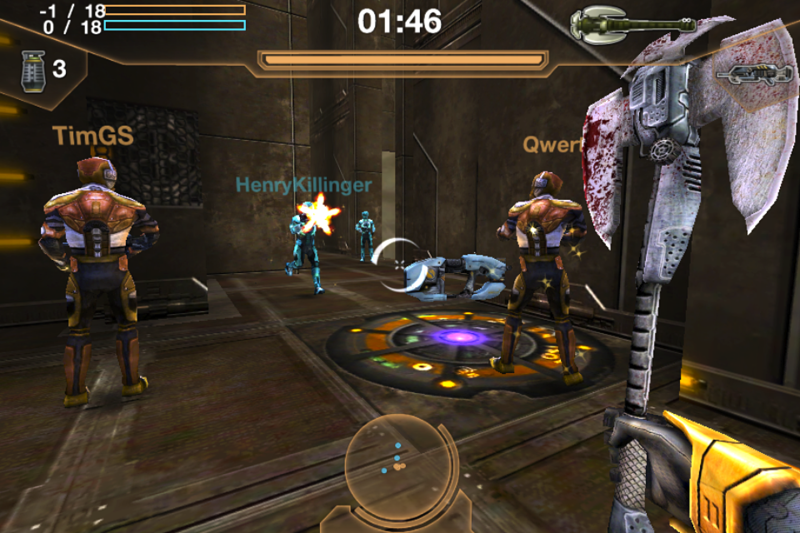 A melee attack is performed by touching the bottom of the screen anywhere in between the two analog sticks, which is also where the radar is displayed. Minor options to invert the aiming axis or adjust sensitivity are available, but the default control scheme described is basically all you get. This isn’t really a bad thing though, as they do work very well and are semi-flexible, but surely won’t suit every single gamer. An important thing to note is that this game is meant to be strictly an online affair, so if you are looking for a single player campaign or don’t have any interest in online multiplayer then Archetype is not for you. There’s a very basic offline mode where you can run through a timed training level taking out stationary cardboard cutout style targets — but that’s it. Everything else is matchmaking against live opponents over a WiFi, 3G, or EDGE connection. If you’re the type of person that loves online FPS multiplayer, then you’re in for a treat. Archetype runs and plays near-flawlessly over all of these connections. Starting the game will launch you into a lobby that is connected to the server closest to your region, although you can choose to play on any server you wish. The current servers are US East, US West, Europe, Asia, and South America. Matchmaking allows just under a minute to find opponents to match you with, and once the timer runs out the game will start with whatever number of players are in the lobby by that time. Archetype boasts up to five-on-five team matches, but in my experience this is a somewhat rare occurrence. More often I’d get into two-on-two or three-on-three matches on a regular basis, with a fair amount of four-on-four as well. The good news is that I haven’t had any trouble quickly picking up a match during my time with the game (US West). Actually playing matches in Archetype is a blast. The five maps are designed well and feature a nice mix of different elevations, passageways, teleports, and weapon drops. As with any good FPS game, learning the ins and outs of each map is really beneficial. Player movement is fast, and by default your weapon will auto-fire when an enemy enters your aiming reticle, although this can be disabled in the options. 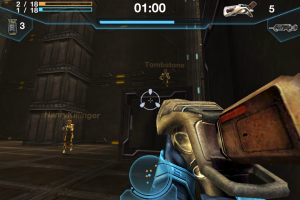 A radar at the bottom of the screen shows the position of enemies and teammates (and can also be disabled if you wish). 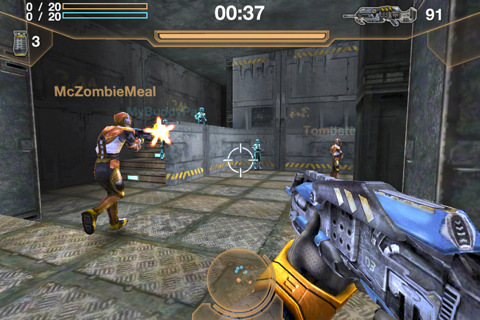 The six weapons in the game run the usual gamut of assault rifles, a shotgun, a sniper-type weapon (minus the zooming capability), and a rocket launcher. Grenades are here as well, with a normal frag grenade as well as an awesome grenade that splits into multiple parts when thrown. Rounding out your offense is the ability to melee with any weapon available, or even pick up a brutal battle axe that can be used exclusively for close combat. Melee can feel overpowered at times, as you can rush up on opponents and spam the button wildly usually ending up in a kill, although this can also leave you open to an easy counterattack from savvy players. The precision rifle feels a little too strong as well, able to kill players with only one or two shots across an entire map, thanks to auto-firing. While rockets and grenades are also strong, the proximity damage of these will kill you just as easily as the opposition, if you aren’t careful. So, there may be room for improvement in the balancing of the weapons, but there are tradeoffs with each, so it’s not been a huge issue and gameplay doesn’t suffer much for it. Matches are incredibly fast paced and combat heavy. The match length is determined by the amount of players, so a one-on-one match goes for just one minute, a two-on-two for two minutes, and so forth. Since the matches are so brief, there’s not a lot of reason to camp or lie in wait to get the drop on other players. Instead, you’d better keep moving if you want to get a decent amount of kills. The setup is also really well suited to mobile gaming, as you can quickly pop in and have a match or two with just a spare few minutes. The only available game type is team Deathmatch, with no sort of free-for-all or objective based gametypes like capture the flag available at this time. With all the great fun to be had in Archetype, it’s not without its issues. For the most part it runs incredibly well online no matter what type of connection you’re on, but there’s inevitably instances of minor lag or even games completely locking up and dropping out altogether. The lobby shows you your current ping rate, so you can have an idea of how solid your connection and that of other players will be. The two biggest points of contention I’m hearing from players in our forums is over the auto-firing nature of the weapons and the ability to actually do damage to your own teammates. Auto-fire can be disabled, but this can just put you at a disadvantage to everyone else who uses it. Teammate damage cannot be disabled, so you’ll need to learn to be careful around your own team, especially with tossing grenades around. My biggest complaint about the game, personally, is the lack of options in setting the parameters of matches. It’s very easy to add friends in Archetype, either from the post game lobby following a match or by searching out usernames and sending requests. From your friend list you can then issue a direct challenge to up to 9 other players to engage in a private match together. It works extremely well, giving other players a push notification inviting them to the game, and accepting that notification launches the game and sends you directly into the lobby very smoothly. I would love to be able to set longer matches in these instances, or adjust other variables like weapon types and frag limits. To be expected, match performance can be hit or miss when trying to play with friends in other countries. As it is, the private match feature is extremely basic but is still a nice addition to the overall package. See our gameplay video for a closer look. If you’ve actually managed to read this far, chances are you’re really interested in this type of game and, with that, I can wholeheartedly recommend Archetype to you. It does have a few issues, some of which only amount to personal taste, and it does want for variety or progression somewhat, as it is just team deathmatch over and over again. But it’s still incredibly fun. It gives you a game that you can quickly jump into and play practically anywhere in a reasonably reliable fashion. 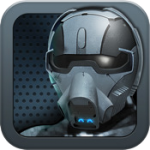 It also avoids the two common complaints about its closest competitor, Eliminate, in that you just pay for the game when you buy it, without any sort of in-app purchasing involved, and you don’t have to worry that other players’ equipment will be more upgraded than your own. Everyone plays on a level field here and, although it’s a bit simplistic, it does work wonderfully. If you’re liking the sound of what Archetype has to offer, then don’t hesitate to check it out. 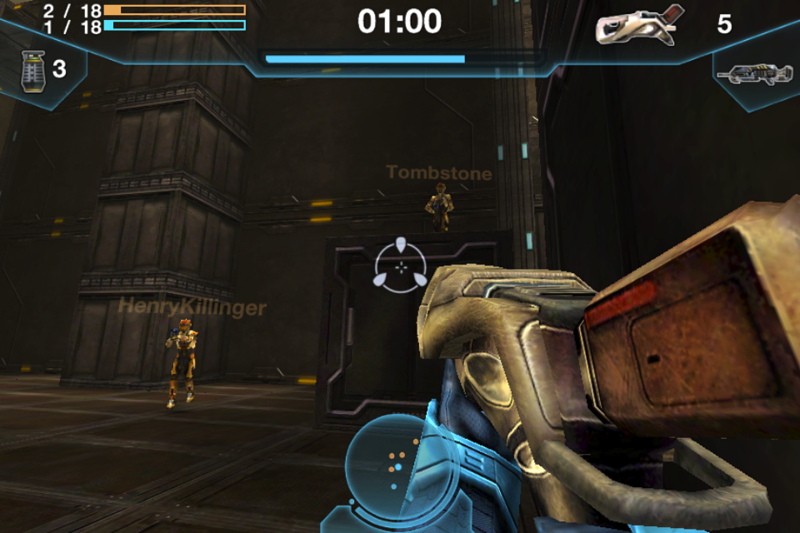 It’s personally become my favorite iPhone FPS to date. Note: Archetype is presently being advertised on this site, but it has no influence on our choice of coverage or the outcome of our reviews. See advertising and editorial policies for additional details.